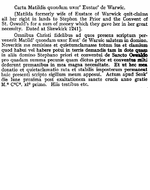 Bibliographic Title: Chartulary of Tockwith, alias Scokirk. A Cell to the Priory of Nostell. Miscellanea, V.3. G. C. Ransome. 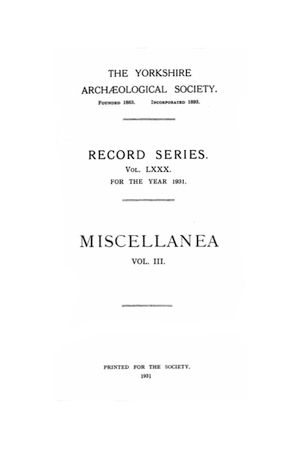 Yorkshire Archaeological Society Record Series, V.80. Yorkshire Archaeological Society, West Yorkshire Print Co. Wakefield. 1931.